Sign up to our newsletter and get regular updates! If motorsport were easy, then everyone would do it. Today’s drivers – both professional and amateur – face a number of familiar problems. These aren’t going to get any easier in future, but here at RaceCoin we have a solution to all the obstacles. Budget – how do you pay for your racing? 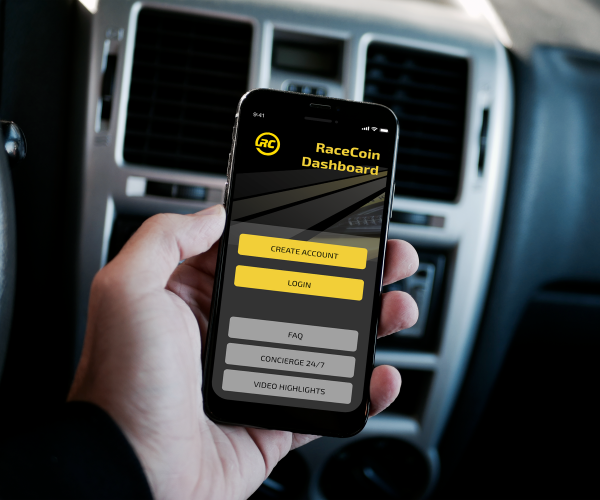 We’ve created a new source of funding with a unique revenue-sharing model between drivers, race tracks and bettors via our own RaceCoin currency. This can help you pay for your racing. Comparability – how do you know who’s best? It’s the oldest argument in motorsport, but now drivers can challenge other drivers all over the world using the concept of “phantom racing” to compare their performances – even on totally different circuits! Connectedness – how do you reach out to fans and sponsors? We provide our own blockchain-based platform that will unite drivers of all ages and backgrounds with fans, followers, potential sponsors, race tracks, and bettors. In an exciting way that’s never been seen before. It’s not just drivers who can benefit from RaceCoin. Race tracks now have the chance to increase customer traffic and capture unprecedented data, offering new income sources and digital opportunities. RaceCoin will start a digital revolution through phantom racing, as drivers race each other on equal terms even with different cars on different circuits. Made possible by a combination of our specially-developed sensory device called the Abox and a unique dashboard app. Matched to a ground-breaking social platform, it will unite global motorsport like never before. Intrigued? Get our monthly newsletter delivered straight to your inbox. In a short space of time, RaceCoin has already attracted plenty of media attention. Here are just a few examples.